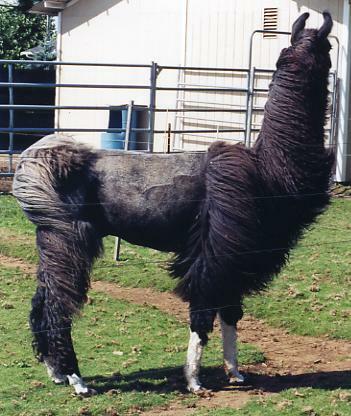 As you can tell by the pictures, Isle Eagle had that much sought after fiber and curl that many breeders were looking for in their programs. More importantly, he had the temperament, athleticism, bloodlines and conformation to go along with it. 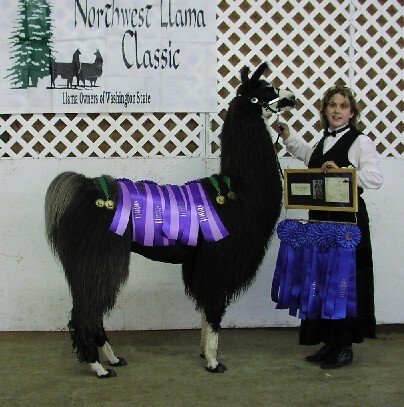 With Eagle's Elite win, he became the most award winning llama in the show system. 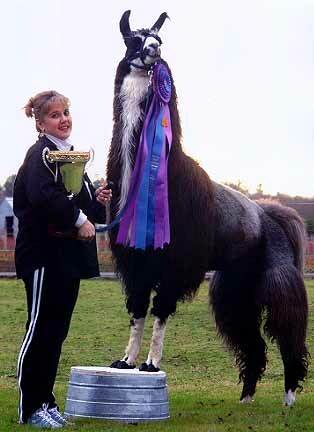 He has more titles and points than any other llama in the United States. 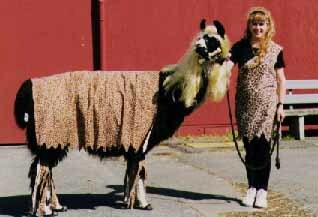 He was also a PLTA certified Master Packer & a Delta Society Therapy Llama. 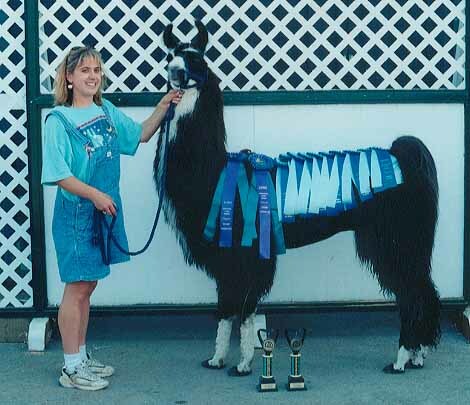 What he was known for best was his work in harness. 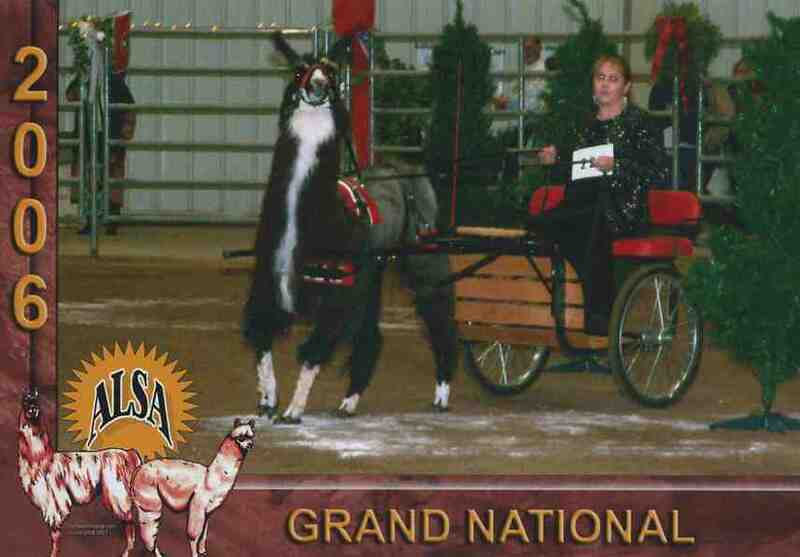 He is the only llama to win Nationals in driving four times when there were large classes. *Unfortunately we lost Eagle 9/10/10 due to complications from a trailer accident. 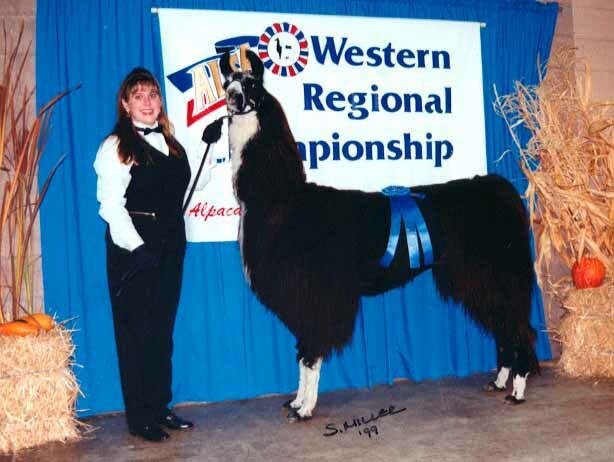 Grand Champion Performance Llama 2001 Ag-Fest ALSA Show, Salem, OR. Isle Eagle was by Legend's Rammas and was a bit unique for many reasons! 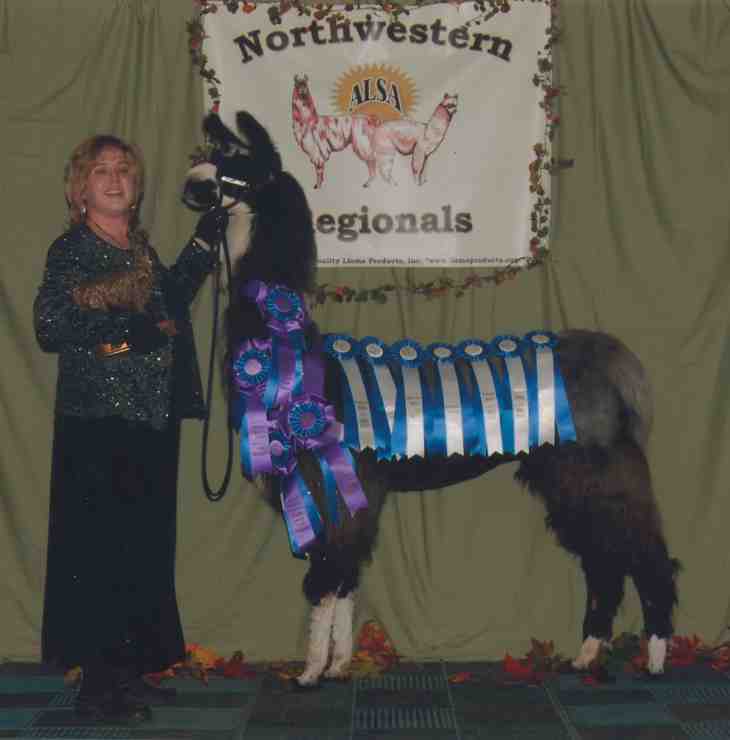 He was a breeding llama male, but he also WORKED! During a show season, Eagle often attended as many as 10-12 shows. Additionally, he drove regularly about 8-10 miles a day. 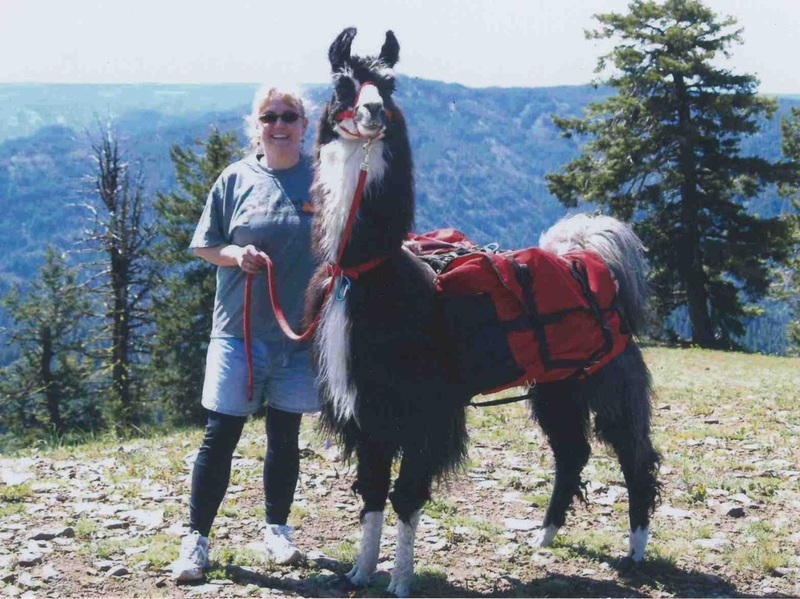 Eagle was Master Packer status with the Pack Llama Trial Association system and Delta Society Therapy Registered. 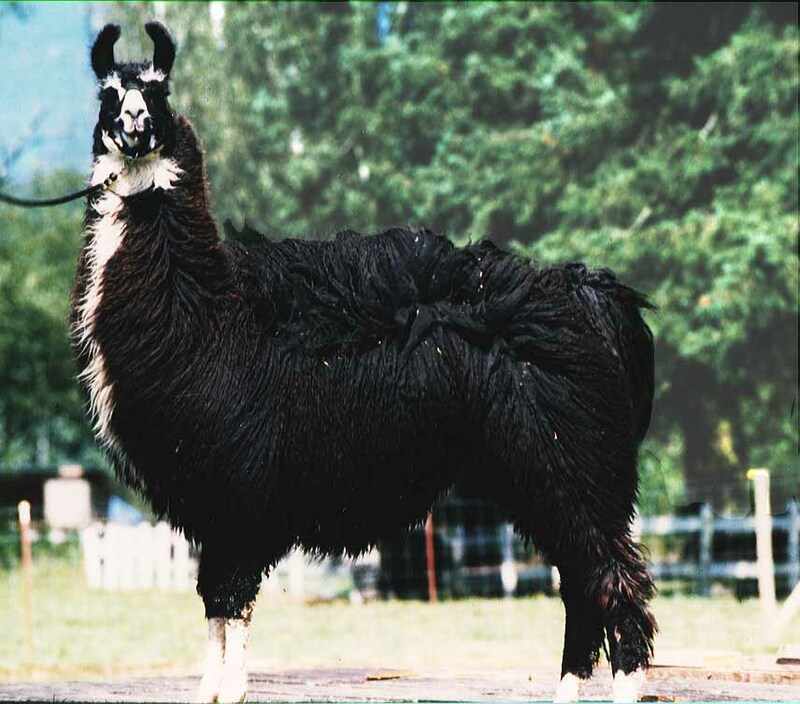 Eagle still has the most ALSA points in United States by over 600 points and is the only animal in the United States to hold all the titles he has in ALSA. 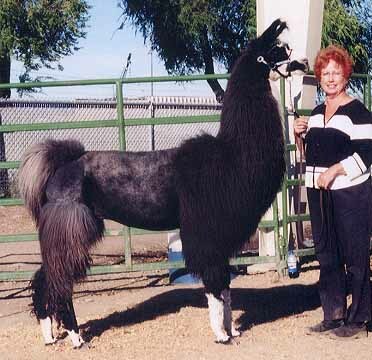 Lastly, he was one of only two Breeder Elite's in the United States. With the advent of the new ILR show division, he earned his titles at age 15+ there. Show Results What Eagle was the most amazing at was driving. He could walk, trot and lope by voice command. He could also do all of those in figure eights on the correct lead. 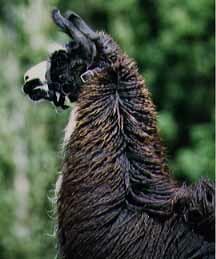 There never has been a llama who could drive like Eagle, he was one of a kind! Eagle has left behind some beautiful offspring, some of which are in our own breeding herd. 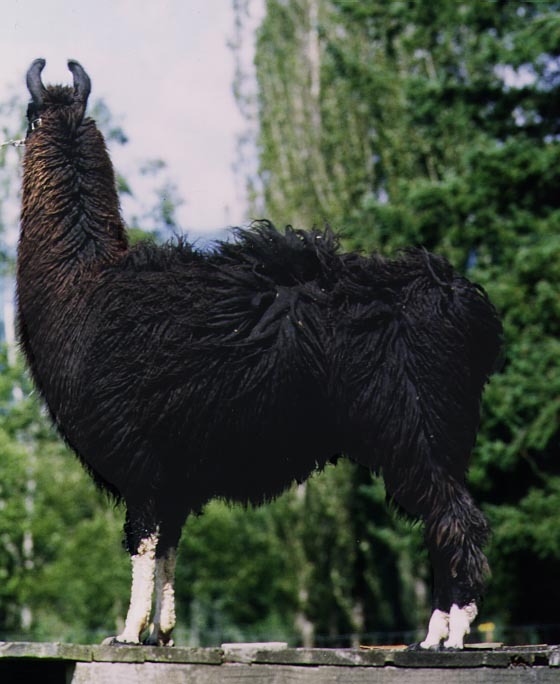 There are more driving llamas from Eagle's line than any other in history. Additionally Eagle bloodline kids are beyond smart, athletic and have award winning conformation. 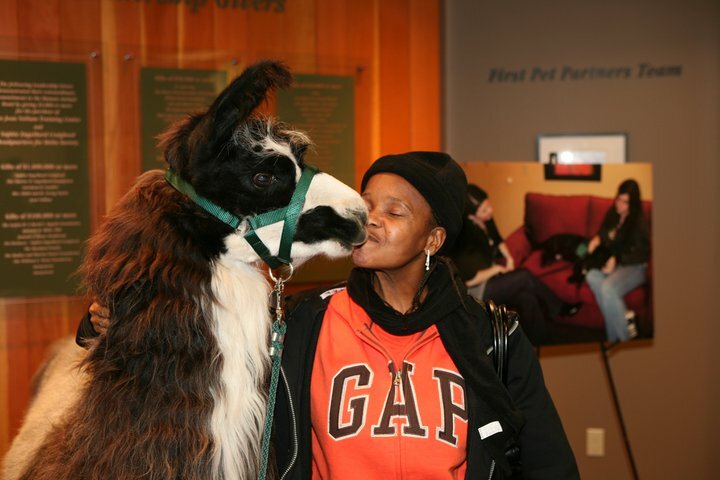 They like to be active which works well for what we do with our llamas!